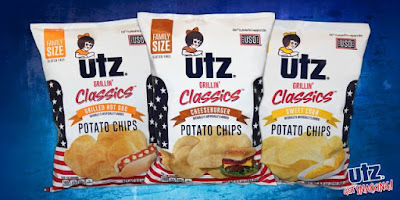 Inspired by "classic American grilling foods," Utz introduces new, limited-time Grillin' Classics Potato Chips this summer. The seasonal line includes three new flavors: Cheeseburger, Sweet Corn, and Grilled Hot Dog. The new chips are gluten-free and come in 8.5-oz. and 2.625-oz. bags. 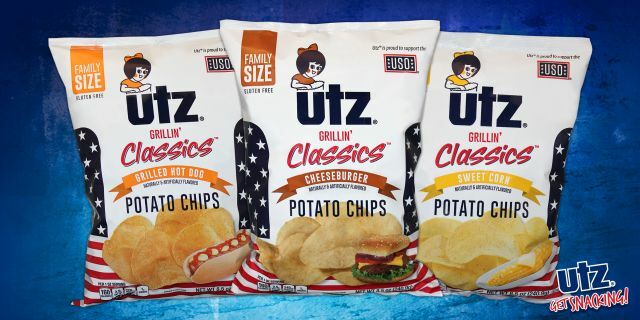 A portion of the proceeds of each bag purchase goes to benefit the USO (United Service Organizations), a nonprofit organization that provides various services to members of the US military and their families.